Diwali, also called Deepawali, is one of the most important and hugely waited festival. It is celebrated across India and in some parts of Nepal as well. Primarily a festival of Hindus, Diwali is celebrated by Jains and Buddhists as well. 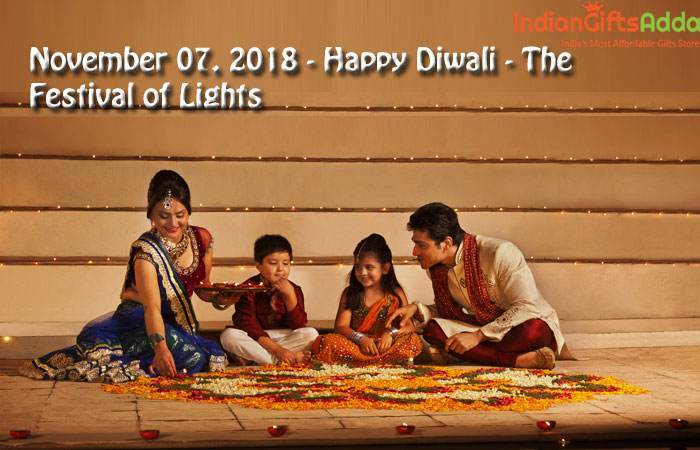 The word Deepawali has Sanskrit origin and means ‘Row of diyas’. The festival is celebrated because on this day Lord Rama and his wife Goddess Sita came back to their kingdom, Ayodhya, after spending fourteen years in exile. The homes were cleaned and the streets were lit with diyas to welcome the returning king. Since then, people have been cleaning their houses and decorating it with decorative diyas and candles. Also, there is a tradition to decorate the entrance of the house with a colorful rangoli. In the evening, people offer their prayers to the Goddess of wealth, Lakshmi. Afterwards, people exchange happy Diwali gifts with their loved ones and wish them a very happy Diwali. Celebrate the festival of lights with palatable gifts and send Diwali gifts online to the people who are close to you. Staying with you or living far away from you, you can send Diwali gifts online to cater to all your near and dear ones. Pick the gifts according the personality of the recipient and he/she will certainly be thrilled. Nothing can beat Diwali sweets when it comes to tantalizing the taste buds of your loved ones on Diwali. Send Diwali sweets to India to the ones who are close to your heart. Motichoor laddu, peda, kaju katli, gulab jamun, or besan ke laddu, send sweets from these to lure your closest folks. Buy Diwali chocolates online from the extensive and delicious collection of Cadbury, Nestle, KitKat, Ferrero Rocher, Bournville, or Lindt. A basket of Indian chocolates and a box of imported chocolates are going to be loved by all your loved ones. Other Diwali gifts that you can trust to make an impression are dry fruits, fresh fruits, and Lakshmi Ganesh idol. Your clients, employees, colleagues and boss are a part of your extended family. Surpsie them with corporate deepawali gifts online. Gifts like speakers, travel bags, calendar, personalized gifts, desk lamps, and appliances are a good choice for corporate Diwali gifting. Diwali is one of the festivals that helps us come closer to one another. The Diwali celebration is spread over five days and each day has its own significance. The first day of celebration is Dhanteras, one which it is considered auspicious to buy gold, silver, utensils, automobile and appliances. The second day is celebrated as ‘Choti Diwali’ when people usually prepare for the next day. The third day is celebrated as Diwali and Lakshmi Pooja is done in the evening. Children burst crackers and people exchange gifts after this. Fourth day is celebrated as Govardhan Puja and the fifth day as Bhai dooj. Fulfill the prime essence of the festival, send gifts to your beloved ones. Use the same day Diwali gifts delivery if you forgot to send gifts.